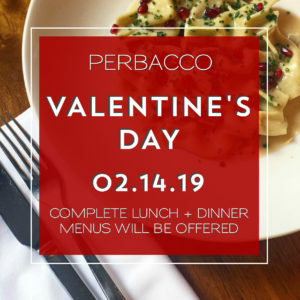 Join us at Perbacco on Thursday, February 14th to celebrate Valentine’s Day! We will be offering our complete lunch and dinner menus with additions for the occasion – no prix fixe menus. To make plans to join us, please reserve online here or give us a call at (415) 955-0663.